24 cm xi, 195 p. : ill. Illicit drugs and their use are a dominant concern of politicians, policy makers and the general public. 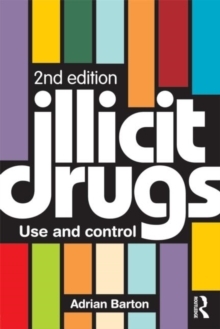 As such, this second edition of the popular Illicit Drugs: Use and Control provides a timely, up-to-date discussion of the key issues raised in the first edition, whilst also providing new chapters which address:Class, gender and raceThe geo-politics of illicit drug production and distributionBritain's drug use within a global contextDrawing information from wide-ranging sources, Adrian Barton illuminates the complex nature and broad impact illicit drug use carries in its wake and provides an overview of the contemporary state of the drug 'scene'.